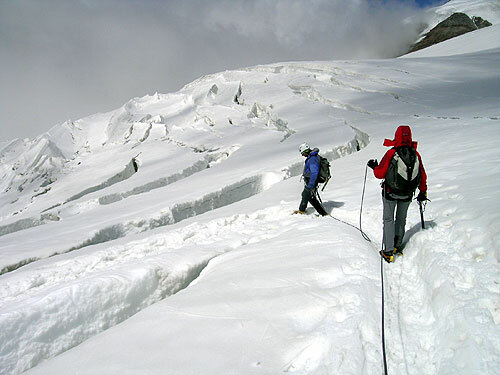 Every Monday of the week, our guides are available to accompany you on the Indren glacier to try the technique of the use of crampons. Departure: 7:30 am from Staffal. Cost: 50,00 Euro per person. The price includes: cost of the mountain guide. Excludes: Lifts, possible lunch in the hut and what is not specifically contemplated. Equipment: boots, jacket, gloves, sunglasses.